The organization is dropping its Festival of Trees after having held a successful Fall Gala, the organization's primary fundraiser. After more than a quarter century of Christmas tree displays, officials at Good Will-Hinckley have decided to pull the plug on the annual Festival of Trees. In its place this year will be Good Will-Hinckley’s Holiday Magic, two days of activities in the same Prescott Building where the festival took place — the brick building with the clock tower on the campus off U.S. Route 201 in the Hinckley section of Fairfield. Rob Moody, GHW president and executive director, who took over in July, said it was time for a change. Michelle Theriault, Good Will-Hinckley development coordinator, said in October the school held a successful Fall Gala, which is now the organization’s annual fundraising event. “This was a decision that was made in order to have a completely free event for the public during the holiday season,” she said. 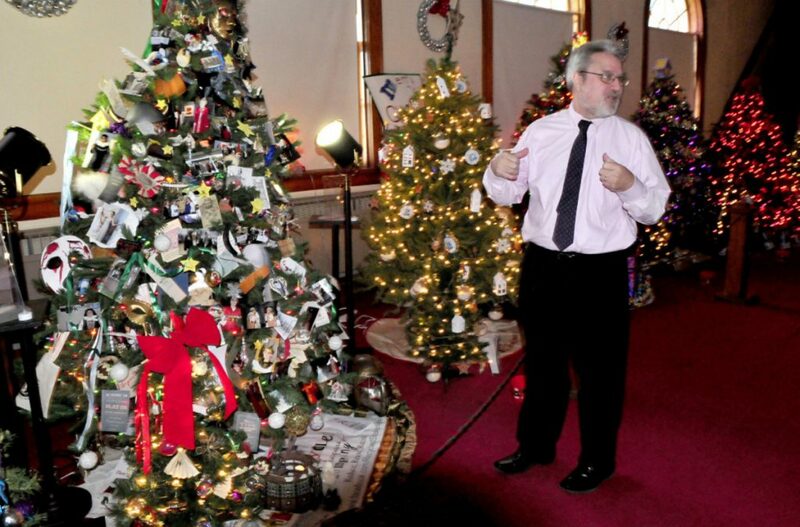 Ken Coville, the former president of Good Will-Hinckley, said in 2017 that the Festival of Trees tradition at Good Will-Hinckley had started 27 years earlier when Ann Marden, wife of Justice Donald H. Marden, a Good Will-Hinckley board member, came up with the idea in 1991. The festival annually displayed about two dozen artificial Christmas trees decorated in a variety of themes and two seats on stage for Santa Claus and Mrs. Claus. There was entertainment during the evening hours throughout the week of the festival. This year, the two-day Holiday Magic gets under way on Friday, Dec. 14, when the Bell Ringers are scheduled to perform at 6:30 p.m. Doors open at 6 p.m. and seating is limited. On Saturday, festivities are scheduled for 9 a.m.-3 p.m., with Santa on hand for visits all day inside Prescott Hall. There will be cookie decorating, wooden craft kits and face painting while supplies last. Horse-drawn wagon rides will be offered, weather permitting, from 11 a.m.-2 p.m.. The Triple C Dance Team will perform at 11 a.m. and the Kennebec Chordsmen will sing at 2 p.m.